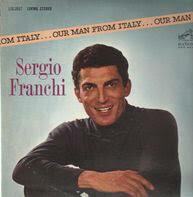 Sergio Franchi (April 6, 1926 – May 1, 1990), born Sergio Franci Galli, was an Italian-American tenor and actor who enjoyed success in the United States and internationally after gaining notice in Britain in the early 1960s. 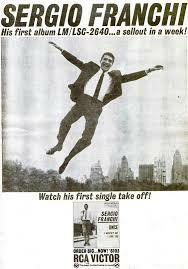 In 1962, RCA Victor signed him to a seven-year contract and in October of that year Franchi appeared on The Ed Sullivan Show and performed at Carnegie Hall. Sol Hurok managed Franchi’s initial American concert tour. 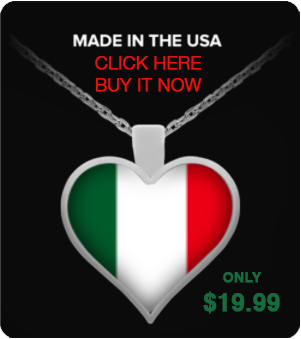 Franchi became a headliner in Las Vegas, and starred in concerts and cabarets on several continents. His earliest ambitions and studies had been directed toward an operatic career, but he instead found his niche in popular and romantic music. 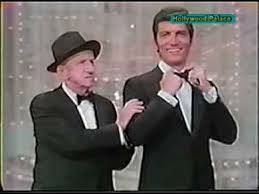 Sergio Franchi performed musical comedies on stage, appeared on numerous television variety shows, and starred in a major motion picture. He became an American citizen in 1972. 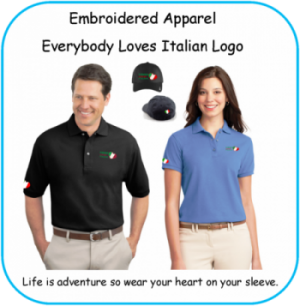 After gaining success, Franchi was a benefactor and philanthropist, donating his time and talent to many causes. For his longtime support of Boys’ and Girls’ Towns of Italy, he was posthumously awarded the title of cavaliere in the Order of Merit (Stella al merito del lavoro) by the Italian Government. James Francis Durante (February 10, 1893 – January 29, 1980) was an American singer, pianist, comedian, and actor. His distinctive clipped gravelly speech, Lower East Side Manhattan accent, comic language-butchery, jazz-influenced songs, and prominent nose helped make him one of America’s most familiar and popular personalities of the 1920s through the 1970s. He often referred to his nose as the schnozzola (from the Yiddish slang word “schnoz” [big nose]), and the word became his nickname.